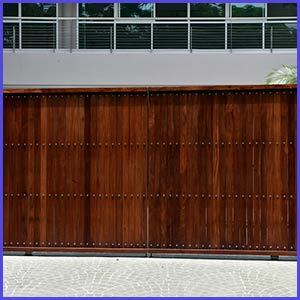 Although garage doors are strong, they will need repair occasionally because they are operated by mechanical parts. Most of the time, a garage door will give some indication that a part needs to be replaced. It may be slow to raise or lower or make strange sounds when it does. If you suspect any problems at all, contact Neighborhood Garage Door Service to arrange repairs. Fixing a problem at the earliest stages saves you money and eliminates a lot of aggravation. Neighborhood Garage Door Service is happy to say that we install garage doors that have been built to last for a lifetime. Regardless of the style or design you choose, you can count on it being extremely durable. We also offer you a range of other products, such as motion detectors, automatic garage door openers, and keyless security systems. Our competitors in Bellmore, NY may think we offer too many options, but we don’t think we offer enough. A garage door may be a necessity, but that doesn’t mean you shouldn’t have a variety of options for replacement and supplies. The only thing that is the same about each of our garage doors is that all are insulated and weather-proofed. Beyond that, the choice is yours. We also don’t think it’s too much to expect your new garage door to last for a lifetime. It should be sturdy and safe, but it should also resist molding, staining, and other cosmetic issues. We don’t expect that to happen with any of our products, but please contact us if the door is not holding up like you think it should. 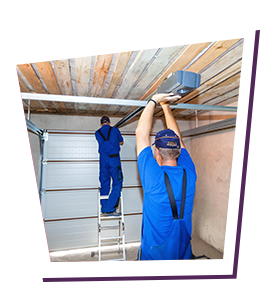 Our technicians are also available to return to your property for scheduled inspections of your new garage door. There isn’t anything easy about becoming an industry leader. Besides the excellent work of our service staff, we got to this position by being a company people can trust. Unfortunately, needing emergency garage door repair service puts you in a vulnerable position that others may take advantage of. We are honest and transparent in everything we do. Not only that, you can take us for our word. Our company knows that you have a lot of choices when it comes to selecting a company in Bellmore, NY for garage door servicing. We appreciate that you chose us, and hope that every action we take reflects this appreciation. You can also depend on us to keep your confidence and act with integrity in every situation. Any company can offer products and services. It’s the human element that puts us ahead of the game.